Info: Created on 1st February 2017 . Last edited on 8th February 2017. A delicate but dynamic slab serif with subtle inktraps and some funky details such as the ear on g and other letters. Congratulations! FontStruct Staff have deemed your FontStruction worthy of special mention. 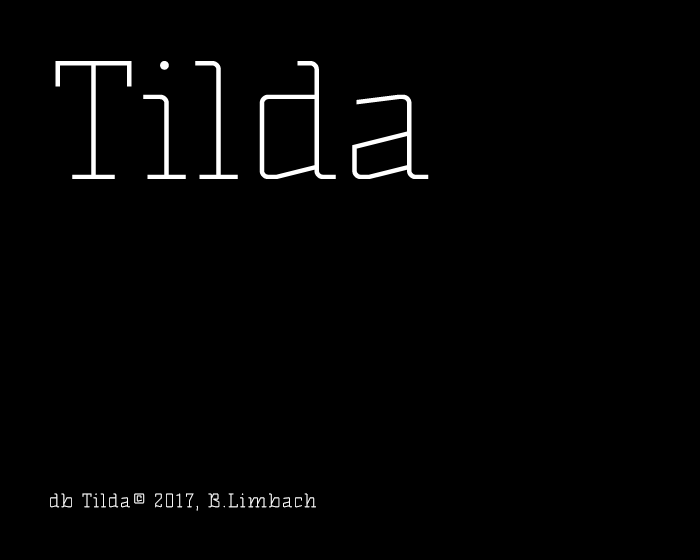 “db Tilda” is now a Top Pick. Thank you very much for your constructive and really helpful comments. Oh yes, I now. I had the same probelm with ×. I just tried to change it. Maby it's better now. So elegant and fine as usual, maestra! I need a lot learn of you. Great work as always! But I think the J is too narrow, and the H a little too wide.